Every year I sit down and write up my goals for the new year. My process usually starts with a list of everything I want to accomplish for the year and then I go one by one and break them down into actionable steps. I always write my goals down and I try to make sure I make use of my planner to help me achieve my goals. It’s a system that works really well for me, but if I’m being really honest, it doesn’t always work well for me. 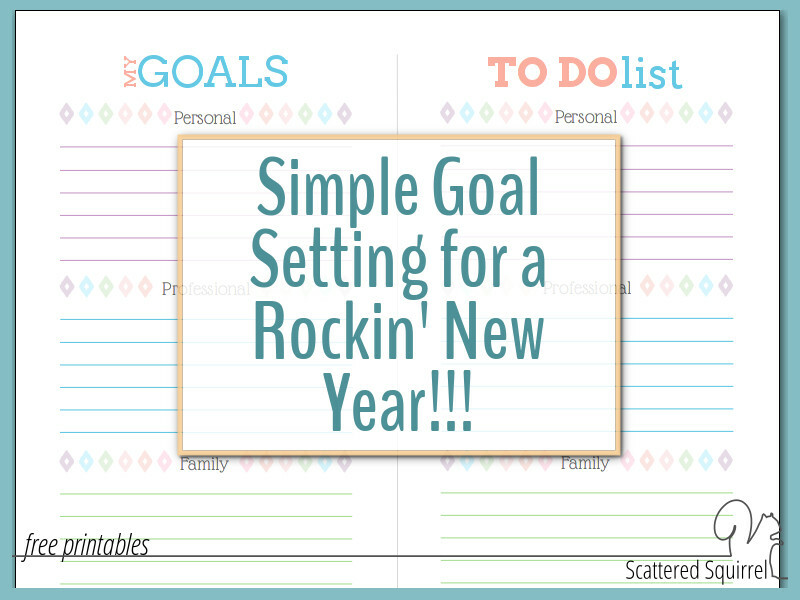 So this year I’m changing things up and testing out a more simple goal setting system. Goal setting is a really important part of carving out order in my scattered little world. I find that having a vision for what I need to do or hope to accomplish is a vital step towards helping me stay on track. Like any other system we use to help us keep our lives somewhat chaos free, our goal setting systems sometimes need to evolve to fit our needs and current stage in life. 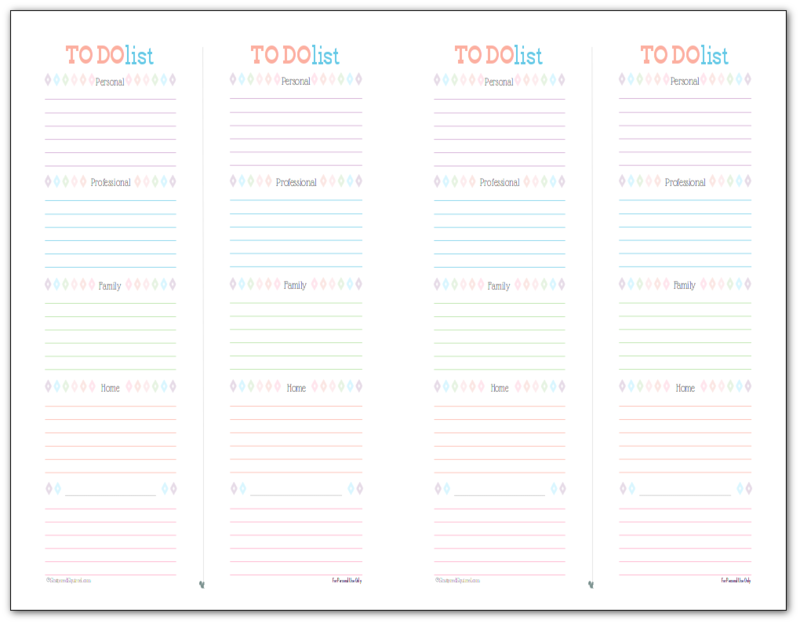 I used my master list printables to organize them all into lists. Having them all on a list really helped me to see what all I wanted to accomplish this year. Some lists were longer than others, some were more detailed, but having a list really helped. My next step was to highlight all the short term or quick to achieve goals, anything that should take two weeks or less to achieve. For example, one of the items that popped up in brain dump was getting my hair cut. A weird goal I know but it must have been on my mind to make the list. This is a really quick and easy goal to cross off my list, so it got highlighted. Another example of a short-term goal is finishing getting the home page set up. (I don’t know if you’ve noticed or not, things are looking a little different around here.) This one will take a little more work, but it is something that can be accomplished in a short amount of time. Highlighting my short term goals made it easier for me to see my long term ones. This is where things got a little more involved. There are only so many hours in a day to accomplish all we need to do, so I’ve decided to start the year with one long term goal for each category. That leaves me with five long-term goals to work on because I don’t have any that fit the ‘Other’ category. Each of these goals got written down on my long term goal setting worksheet and I broke them down step by step, however, I did not give them a deadline. Maybe I’m breaking some goal setting code by not assigning a deadline to these goals, but generally speaking, I know I want to accomplish these before the end of the year. And if I meet one early I can then move onto another of my long term goals from that category. Whatever I don’t get to this year I can reevaluate for next year. I’m trying to stick to a more simple goal setting plan, so leaving out the deadlines and allowing room for changes and adjustments seemed like a great way simplify things. The final step was to start putting everything into my planner. Unlike previous years, I didn’t want to try to work it into my weekly planning. Last year, I found that as life changed, so to did the time I had to work on my goals. There were times when I felt so far behind that I was ready to just chuck in the towel. Moving things from one week to the next to the next was very disheartening. So this year, or at least for the first three months of this year, I’m going to try something new. 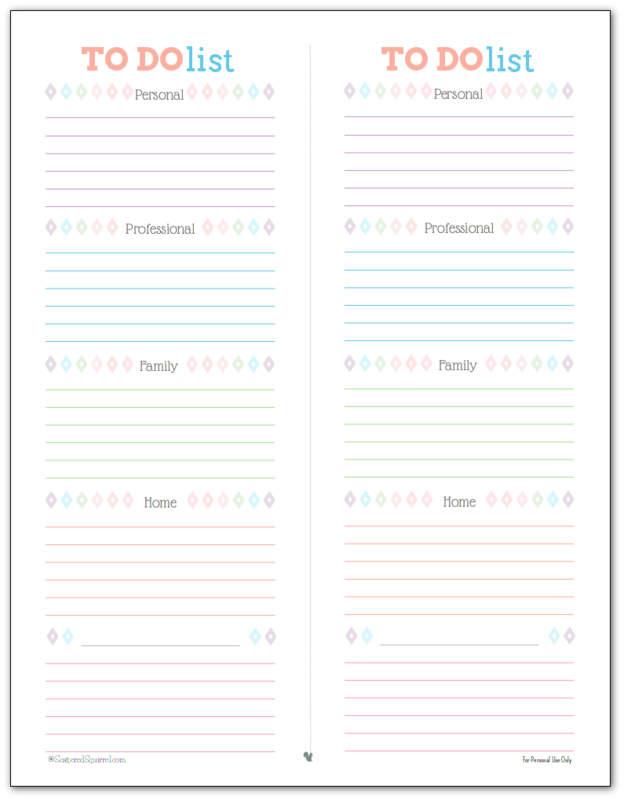 I made some new goal setting printables that I hope will help keep me on track and yet allow me the flexibility that I need. I’m really excited about these printables. Though I made them with a specific purpose in mind, I think there are a number of ways you could these for yourself. 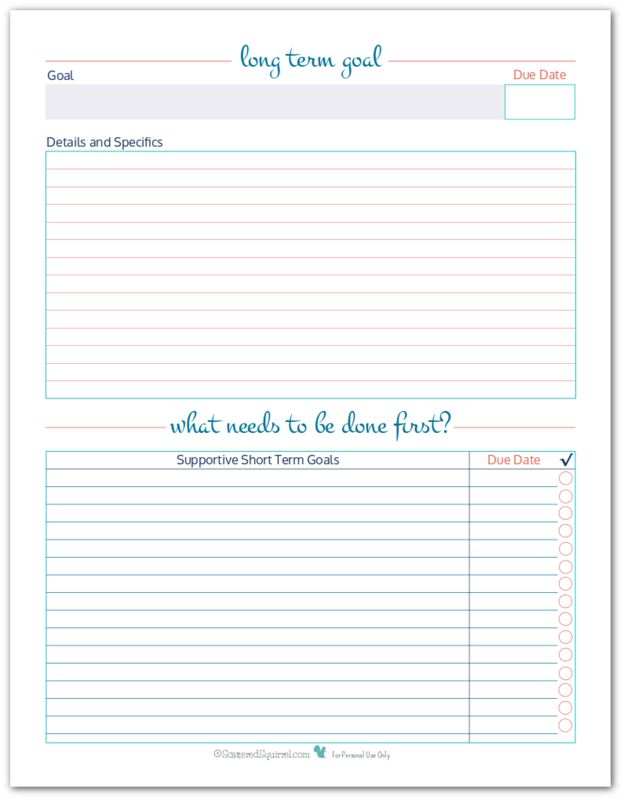 You don’t have to follow my steps for goal planning to use these. So I’m not going to explain them too much just how I’m using them in my planners. 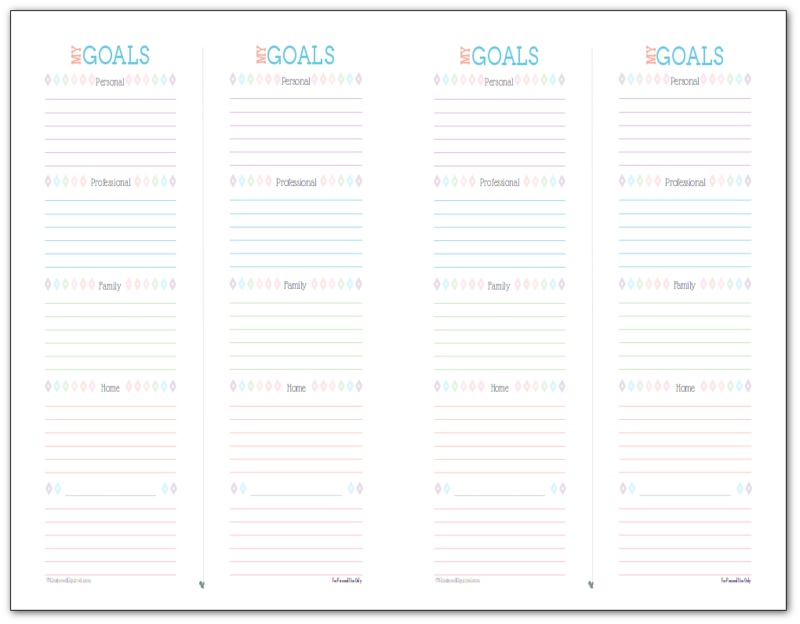 I decided to really embrace the idea of simple goal setting and make the printables simple too. I put two lists per page, and what I’ve done is print them then cut them in half down the middle. For each category, I choose one short-term goal and one step from my long-term goal and jot them down. Then I punch the list and place it in my planner for the current week. I simply keep moving the list from week to the next until I’ve accomplished those goals. This helps to keep me focused on my goal without having to rewrite things down. Sometimes when I’m working towards a goal there are multiple things I need to do to complete each step. After printing the one above, I realized that a to-do list would be a great addition, so I replaced the one goal setting list with a to-do list. This way I can jot down any specific reminders for each category. There is also the added bonus of being able to simply fold the page in half before punching it. I used a little bit of glue on the back to hold it together and it’s almost like a page marker now. 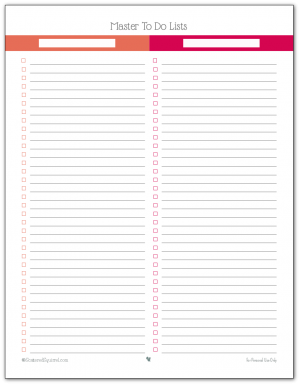 And because I had one that was just for goals, I made a second one that was just for to do lists. 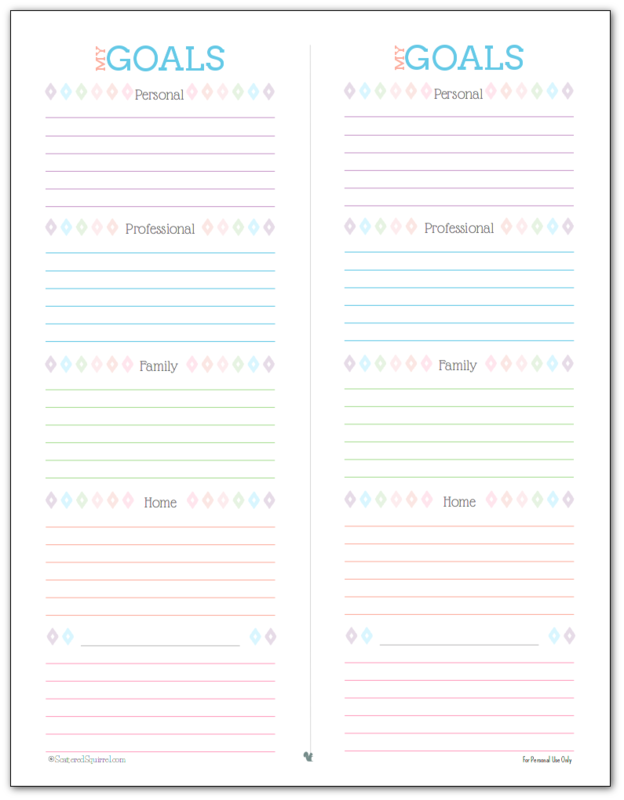 I think these would also be a great alternative to using a weekly planner for those that don’t really like, need, or want a weekly planner. If you use a monthly calendar to keep track of appointments and stuff like that, you could use this list to keep track of what is on your agenda for the week or the even the day. 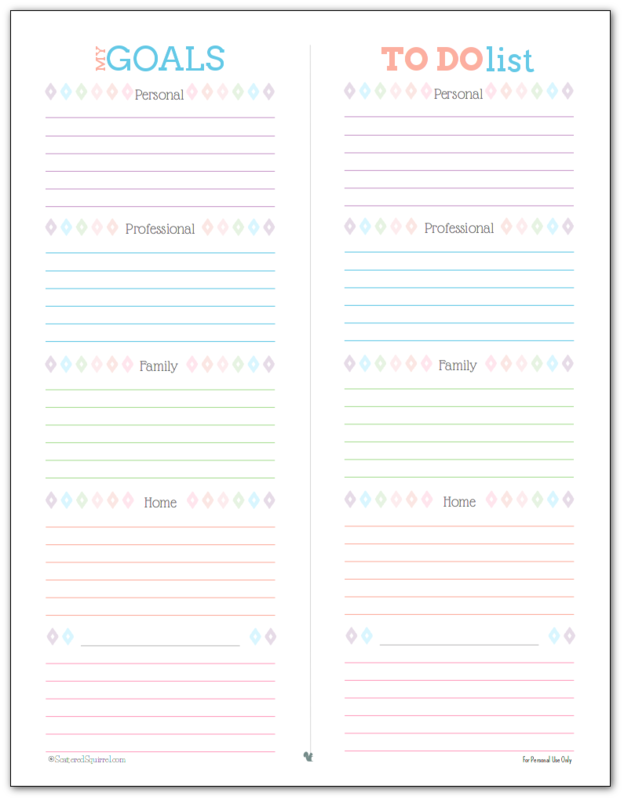 I know that there are many of you who prefer the half-size planners/page size and I did not forget you. I made a half-size version of all the ones you saw above. As always, to snag a copy for yourself simply click the pic! I’ve only been using mine for just under week so it’s too soon to tell if it’s this new simple goal setting planner or the typical new year zeal for getting things done, but I’m really liking how it is keeping me on track and focused. I hope you find them just as helpful. 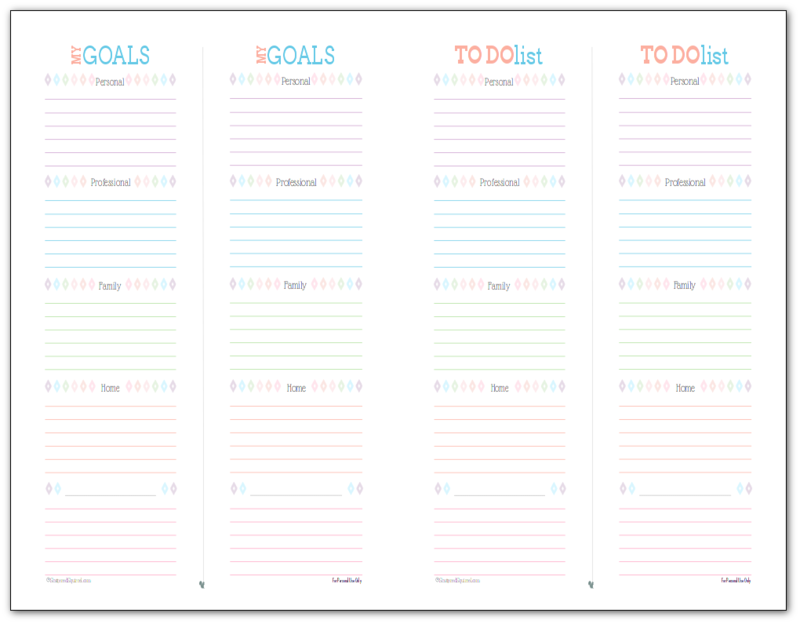 I love the idea of moving the printable from week to week until you complete the goal! I get so discouraged carrying things over from week to week too and this is not only a time-saver, but also an emotion-saver 🙂 Thanks Alli! Your site is AMAZING! Thank you. I have been searching for years for stuff like this. Thank you, thank you, thank you. I love the colors and font, the 1/2 pages, the comprehensive planning. Everything. Thank you!!! Thanks so much Tara. 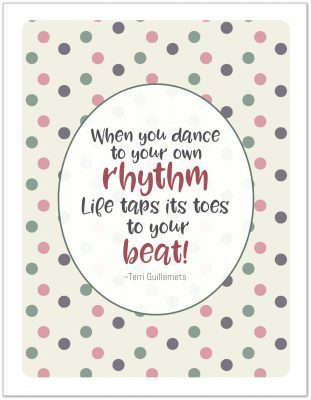 I’m happy to hear that you’re liking and enjoying the printables. You are a genius and generous! You are too sweet. Thank you for your kind words Ikki.